TICKETS ON SALE MONDAY, JUNE 12 AT 10AM! 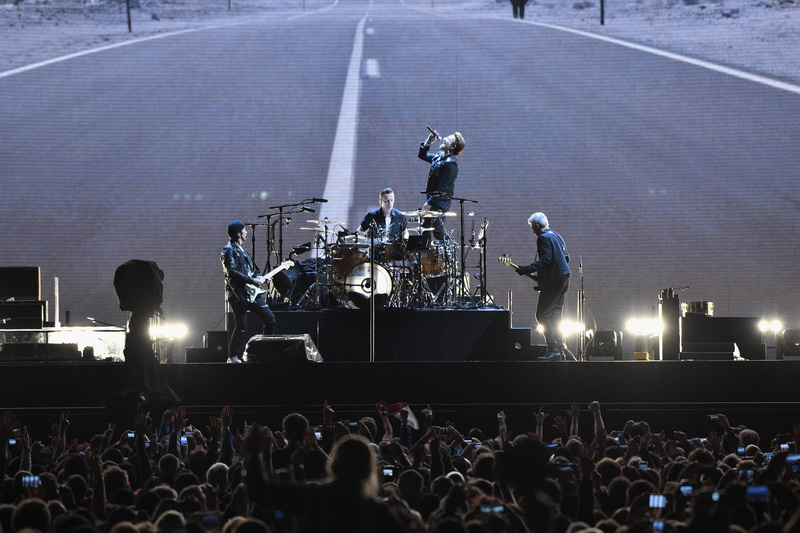 International mega group U2 has been confirmed to bring their acclaimed stadium tour celebrating the 30th anniversary of The Joshua Tree album to Saint Louis, at the Dome at the America’s Center on September 16. U2 are no strangers to the stadium gig in Saint Louis (They played Busch Memorial Stadium in 1992, Busch Stadium in 2011 and The Trans World Dome (Now Dome at America’s Center) in 1997. The show will be the 4th stadium show in the Gateway City this year. But highlighting the album which blew the band up, so to speak, to mega-stardom in 1987 will be the center-piece of the tour. And they will do so by performing The Joshua Tree in its entirety. It will certainly be a treat for fans of the band as the album still rings true to social issues today just as much as it did in 1987. It will also be a chance for fans who may have missed that tour (I can tell you from personal experience that it was phenomenal) to be able to catch this one on a much larger scale. The show in 1987 was played at the old Arena. Ticket prices are very affordable, with prices starting at $35 and general admission floor tickets at only $70 it seems that this may be the bargain stadium tour of the summer. Live Nation confirmed that, due to incredible demand, select new stadium shows have been added to U2 The Joshua Tree Tour 2017. The newly announced dates include a limited return to North America with concerts announced in Detroit, Buffalo, Minneapolis, Indianapolis, Kansas City, St. Louis and San Diego. The tour will then head to Mexico City followed by concerts in Bogota, Buenos Aires, Santiago and Sao Paulo. Tickets for the North American performances go on sale Monday, June 12th. On sale dates in Latin America vary – full listings follow. Madison Square Garden concert; rarities and B-sides from the album’s original recording sessions; as well as 2017 remixes from Daniel Lanois, St Francis Hotel, Jacknife Lee, Steve Lillywhite and Flood; plus an 84-page hardback book of unseen personal photography shot by The Edge during the original Mojave Desert photo session in 1986. The Joshua Tree was produced by Brian Eno and Daniel Lanois. 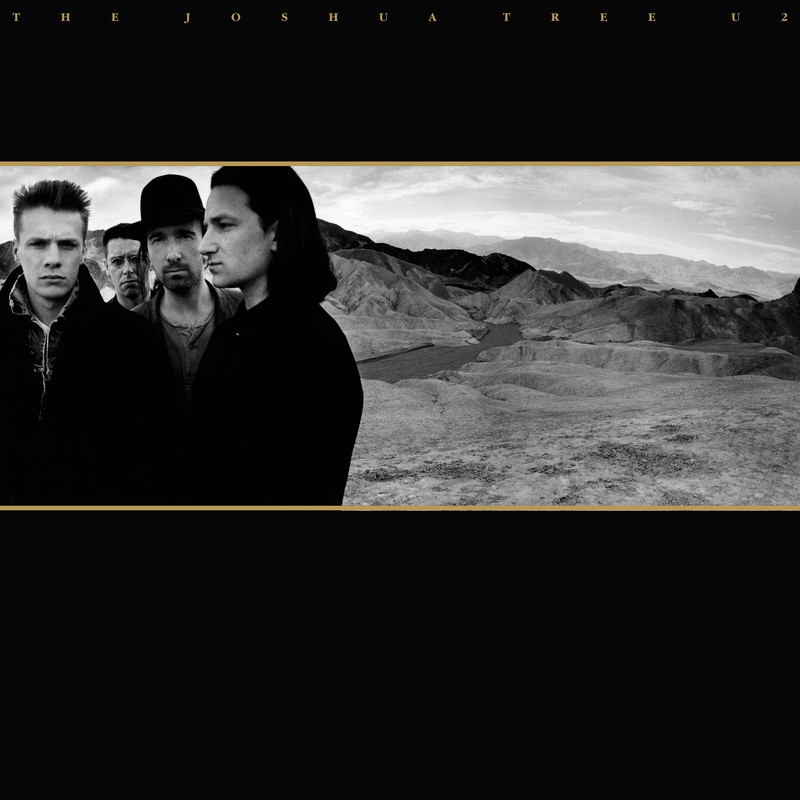 Full details of all formats are available at http://www.u2.com/news/title/the-joshua-tree-at-30. Currently wowing fans and critics alike across North America, U2 The Joshua Tree Tour 2017 wraps up North America July 1st, heading on to Europe where it kicks off a sold out tour with two shows in London on July 8th & 9th followed by concerts in Berlin, Rome, Barcelona, Dublin, Paris, Amsterdam and Brussels. It will then relaunch in North America September 3rd with a return to Detroit – the city where U2 first played a headline stadium show back on April 30th, 1987 at the Silverdome on the original Joshua Tree Tour. Tickets for the U2: The Joshua Tree Tour 2017 are on sale Monday, June 12th in North America. Ticket prices start at $35.00 with general admission floor tickets at $70.00. There will be an exclusive priority presale for U2 Subscribers at U2.com starting Thursday, June 8th (10am) through Saturday, June 10th (5pm) local times for U2.com subscribers who may have missed out on the previous presale opportunity along with new subscribers. There will be a 4 ticket limit for subscriber purchases and a 6 ticket limit commencing with public sales. In North America, all floor tickets will be paperless unless otherwise noted. Special guest for the North America concert dates to be announced. For the North American dates Beck has been confirmed to be the special guest, including the September 16 date in Saint Louis and the September 12 date at Arrowhead Stadium in Kansas City. In Mexico and South America, Noel Gallagher’s High Flying Birds have been confirmed as special guest for all dates. Tickets will go on sale Wed. June 14th in Mexico City, June 15th in Bogota, Buenos Aires and Santiago and Friday in Sao Paulo. There will be an exclusive priority presale for U2 Subscribers at U2.com starting Thursday, June 8th (10am) through Saturday, June 10th (5pm) local times for U2.com. All times local.